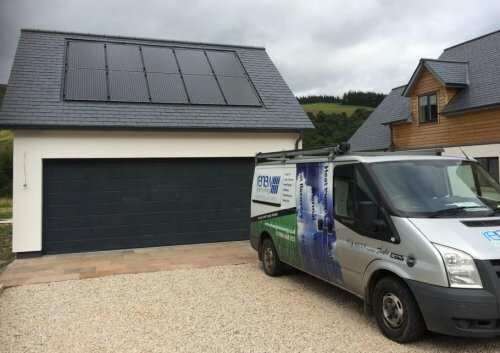 Renew Green Energy Ltd was formally established in 2010, and since then we have now installed hundreds of renewable, micro generation energy solutions across Scotland and the north of England, with a shared vision to create affordable renewable energy systems. Click here to see a sample of our installations and testimonials. Renew Green Energy employ time served plumbers, electricians, heating engineers and joiners, and unlike many renewable companies are fully qualified and registered with Select, Snipef, HETAs, Gas Safe, Commercial Gas Installer, Green Deal Installers and obviously MCS, NAPIT and RECC. Renew Green Energy is privately owned. Our managing director Brian Middleton is a time served electrician and provides all of the technical expertise and support, and has worked and personally installed renewable technologies for over 10 years. Renew Green Energy has overseen huge growth in the buisness since 2010, and along with our friendly office staff, Jack, Jane & Nicola and dedicated plumbers, electrcians and joiners , the team bring an ideal relationship of technical, commercial and construction skills, making Renew one of the largest and most respected independent renewable energy companies in Scotland. Renew Green Energy is based in the Scottish Borders town of Galashiels which means we are perfectly placed to serve southern Scotland and Northern England. We are still privately owned and are not tied to any manufacturer or any of the energy suppliers, which means we can recommend the best renewable energy solutions for each individual customer, and then switch to the latest technologies as they improve over time. We have built business on reputation gained through the quality of our installs, this is very important to us and Renew strive to make sure that when you engage with us you feel you would happliy recommend us too!! We can deliver this because we use quality materials coupled by using the same skilled tradesmen we have been using for years! Have a look here to see a few of our installations. (click here). Every job we do is covered by our workmanship warranty, as well as the manufacturers warranty. However, many customers also look for peace-of-mind, so we do offer annual servicing. If you also feel that you require annual servicing, cleaning and maintenance we can also offer this. For more information please use our contact form. We don't use high-pressure sales tactics, such as on-the-spot discounts. For more information or if you would like a free consultation or just more information on this please use our contact form.